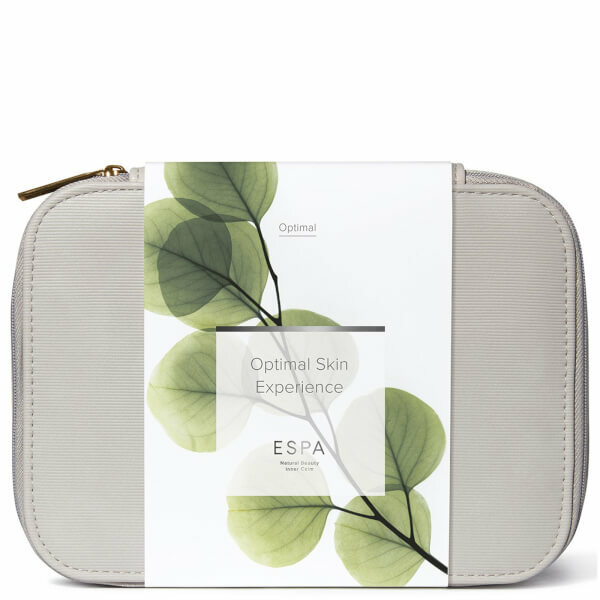 Discover your best complexion with the Optimal Skin Experience from ESPA. 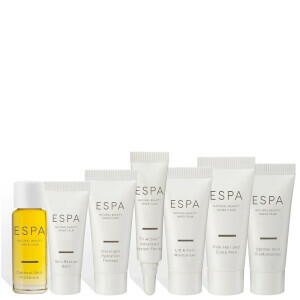 The gift set contains a cleanser, toner, serum and moisturiser that work together to replenish hydration, restore radiance and combat ageing for glowing, youthful-looking skin. Refresh and revitalise skin with a lightweight and gentle toner. Enriched with Rose Damascena to replenish moisture and Rose Geranium to soothe sensitive skin, the formula uses a potent blend of essential oils to leave skin calm, silky-soft and supple. A 3-in-1 gel cleanser, exfoliator and face mask to nourish, smooth and visibly brighten the complexion. Moringa Seed Extract cleanses and removes makeup, while Jojoba Spheres gently exfoliate and melt away to leave skin clear and smooth. Pumpkin Enzymes remove dull cells, revealing a radiant glow. An intensely nourishing serum to strengthen skin’s natural moisture barrier and help even skin tone, while enhancing elasticity to help minimise the early signs of ageing. Echium Oil and Sunflower Concentrate replenish ceramides and omega oils, White Lupin helps smooth and firm while Turmeric brightens for beautifully radiant skin. A responsive, lightweight nutrient-rich moisturiser that balances the complexion while delivering deep, long-lasting hydration where your skin needs it most. South African Resurrection Plant revives dehydrated skin, Navarra Asparagus Extract targets the early signs of skin ageing while Yeast Bioferment revitalises by night for visibly beautiful skin. 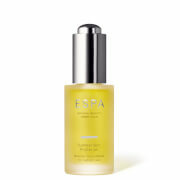 Serum: After cleansing and toning, warm a few drops in your palms and cup hands over face to inhale the aroma. Gently smooth over face, neck and décolleté until fully absorbed. Moisturiser: Use morning and evening after cleansing and toning. Apply to fingertips and tap into face, neck and décolleté before smoothing in light upward strokes until fully absorbed. Spafresh: Water (Aqua), Polysorbate 20, Glycerin, Alcohol Denat., Phenoxyethanol, Citrus Aurantium Amara (Bitter Orange) Flower Water, Rosa Damascena Flower Water, Allantoin, Ethylhexylglycerin, Honey (Mel) Extract, Lonicera Caprifolium (Honeysuckle) Flower Extract, Lonicera Japonica (Honeysuckle) Flower Extract, Citrus Reticulata (Tangerine) Peel Oil, Limonene, Citrus Aurantium Amara (Bitter Orange) Peel Oil, Pelargonium Graveolens Flower Oil, Hamamelis Virginiana (Witch Hazel) Leaf Extract, Linalool, Citronellol, Geraniol, Sodium Hydroxide, Citric Acid, Potassium Sorbate, Benzoic Acid, Dehydroacetic Acid. Cleanser: Caprylic/Capric Triglyceride, Glycerin, Jojoba Esters, Lactobacillus/Pumpkin Fruit Ferment Filtrate, Persea Gratissima (Avocado) Oil, Water (Aqua), Coconut Alkanes, Sucrose Laurate, Sucrose Stearate, Phenoxyethanol, Limonene, Vaccinium Vitis-Idaea Seed Oil, Citrus Aurantium Dulcis (Orange) Peel Oil, Coco-Caprylate/Caprate, Citrus Aurantium Amara (Bitter Orange) Flower Oil, Citrus Aurantium Bergamia (Bergamot) Fruit Oil, Cedrus Atlantica Bark Oil, Citrus Nobilis (Mandarin Orange) Peel Oil, Ethylhexylglycerin, Leuconostoc/Radish Root Ferment Filtrate, Linalool, Moringa Oleifera Seed Extract, Jasminum Officinale (Jasmine) Flower Extract, Disodium Phosphate, Rosa Damascena Flower Oil, Citric Acid, Citronellol, Benzyl Benzoate, Helianthus Annuus (Sunflower) Seed Oil, Rosmarinus Officinalis (Rosemary) Leaf Extract. Serum: Oryza Sativa (Rice) Bran Oil, Helianthus Annuus (Sunflower) Seed Oil, Coconut Alkanes, Caprylic/Capric Triglyceride, Helianthus Annuus (Sunflower) Seed Oil Unsaponifiables, Oenothera Biennis (Evening Primrose) Oil, Rosa Canina Fruit Oil, Echium Plantagineum Seed Oil, Octyldodecanol, Coco-Caprylate/Caprate, Curcuma Longa (Turmeric) Root Extract, Ribes Nigrum (Black Currant) Seed Oil, Limonene, Tocopherol, Cedrus Deodara Wood Oil, Citrus Aurantium Dulcis (Orange) Peel Oil, Cananga Odorata Flower Oil, Crithmum Maritimum Extract, Lupinus Albus Seed Extract, Retinyl Palmitate, Glyceryl Oleate, Citrus Nobilis (Mandarin Orange) Peel Oil, Citrus Reticulata (Tangerine) Peel Oil, Eugenia Caryophyllus (Clove) Flower Extract, Pogostemon Cablin Leaf Extract, Eugenol, Alaria Esculenta Extract, Spilanthes Acmella Flower Extract, Rosmarinus Officinalis (Rosemary) Leaf Extract, Jasminum Sambac (Jasmine) Flower Extract, Mentha Viridis (Spearmint) Leaf Oil, Plumeria Acutifolia Flower Extract, Rosa Centifolia Flower Oil, Linalool, Ascorbyl Palmitate, Geraniol, Citric Acid, Cardiospermum Halicacabum Flower/Leaf/Vine Extract, Glyceryl Stearate, Lecithin, Benzyl Benzoate, Citronellol, Benzyl Salicylate, Farnesol, Benzyl Alcohol. Moisturiser: Water (Aqua), Coconut Alkanes, Polyglyceryl-6 Distearate, Helianthus Annuus (Sunflower) Seed Oil Unsaponifiables, Inulin, Polyglyceryl-2 Stearate, Pectin, Xylitylglucoside, Cetyl Alcohol, Coco-Caprylate/Caprate, Plukenetia Volubilis Seed Oil, Propanediol, Ethylhexyl Palmitate, Caprylic/Capric Triglyceride, Glyceryl Stearate, Anhydroxylitol, Phenoxyethanol, Stearyl Alcohol, Glycerin, Jojoba Esters, Behenic Acid, Cetyl Behenate, Isostearyl Isostearate, Potassium Cetyl Phosphate, Helianthus Annuus (Sunflower) Seed Oil, Xylitol, Limonene, Citrus Aurantium Dulcis (Orange) Peel Oil, Sclerotium Gum, Polyglyceryl-3 Beeswax, Alpha-Glucan Oligosaccharide, Citrus Aurantium Amara (Bitter Orange) Flower Oil, Citrus Aurantium Bergamia (Bergamot) Fruit Oil, Benzoic Acid, Cedrus Atlantica Bark Oil, Citrus Nobilis (Mandarin Orange) Peel Oil, Dehydroacetic Acid, Alaria Esculenta Extract, Rosmarinus Officinalis (Rosemary) Leaf Extract, Lonicera Caprifolium (Honeysuckle) Flower Extract, Lonicera Japonica (Honeysuckle) Flower Extract, Linalool, Asparagus Officinalis Stem Extract, Myrothamnus Flabellifolia Leaf/Stem Extract, Silica Dimethyl Silylate, Ethylhexylglycerin, Sorbitol, Hydrolyzed Yeast Protein, Sodium Benzoate, Butylene Glycol, Pentylene Glycol, Lactic Acid, Lecithin, Ascorbic Acid, Calcium Gluconate, Citric Acid, Gluconolactone, Potassium Sorbate, Jasminum Officinale (Jasmine) Flower Extract, Rosa Damascena Flower Oil, Sodium Hyaluronate, Xanthan Gum, Caprylyl Glycol, Glucose, Tocopheryl Acetate, Citronellol, Benzyl Benzoate, Glyceryl Linoleate, Glyceryl Linolenate, Disodium EDTA, Retinyl Palmitate, Sodium Ascorbyl Phosphate, Glyceryl Caprylate, Oleic Acid, Iron Oxides (CI 77491).